As an accounting leader, it is your job to not only manage your team in the present but also prepare for the future. First and foremost, this will mean educating yourself on emerging technologies. You need to learn what they are and are not capable of today, as well as how AI and machine learning will likely shift in the future, giving you the ability to make smart decisions at this critical juncture. Failing to learn about AI in accounting will harm your ability to lead your staff. At best, you’ll be seen as resistant to change. At worst, you’ll be ill-prepared when these technologies make their way into your workplace. As AI and machine learning become more present in the accounting industry, you need to become a valuable resource. Educate yourself so you can acquire the knowledge necessary to guide your team through these transitions. Strive to find ways for them to advance their skills in a way that helps them future-proof their careers, leading them into the newest iteration of the field. If you want to be an effective accounting leader, you need to embrace the positive aspects of what these new technologies will bring. By being able to demonstrate how AI and machine learning can actually be beneficial to accountants, you’ll be able to maintain good morale while preparing everyone for the inevitable. For example, highlight the fact accountants will be able to spend less time on monotonous and mundane tasks, giving them the ability to focus on more engaging or interesting work. Showcase the value of learning how to make the most of the technologies, particularly as a way to enhance their skill set to be more valuable. Ultimately, being an accounting leader who can lead with authority in the digital age involves understanding what the technology brings to the table and preparing everyone for it to become part of the norm. By doing so, you can serve as a guide to your staff while future-proofing your own career, increasing the odds everyone will find future success. 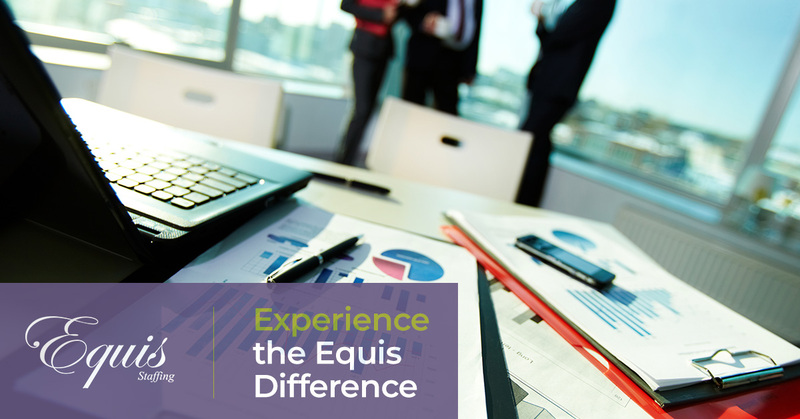 If you would like to learn more about effective leadership, the professionals at Equis Staffing can help. Contact us to speak with one of our experienced team members today and see how our management expertise can benefit you.